This year as part of the 2018 annual meeting registration, attendees were provided with a complimentary copy of the book Continuing Professional Development in Medicine and Health Care, by William F. Rayburn, Mary G. Turco and David A. Davis. Authored by key thought leaders in the field, including members of the Society of Academic Continuing Medical Education (SACME), the book presents today’s most advanced thinking on how to empower clinicians to continuously improve their performance throughout their professional careers. The book is a great resource for anyone involved in continuing education for the healthcare team. As such, the IACME Board of Directors saw this as a terrific opportunity to add value for members by creating a quarterly Virtual Journal Club (VJC) event using chapters from the book. The first VJC was held on July 12 and focused on Chapter 4: Designing and Delivering Effective Continuing Education Activities, authored by Ginny Jacobs-Halsey and David A. Davis. Moderated by Debbie Platek, Ginny Jacobs-Halsey joined the call to share more about the Plan, Do, Study, Act (PDSA) cycle and how it can be used in educational program planning. Jennifer Troyanovich was also on the call to share an example of how the PDSA cycle was used in her program. On August 16th we hosted an ACCME Update webinar titled Insights and Practical Tips: A Simplified Approach to the ACCME Accreditation Process and Menu of Criteria for Accreditation with Commendation. We were very pleased to have as our presenter Dion Richetti, Vice President of Accreditation and Recognition for ACCME. This opportunity was free to IACME members. The webinar slides and recording are available to members on our website – see “Archive Events” in the Events tab at http://iacme.clubexpress.com/. IACME is “heating up” networking opportunities with the first MSS Think Tank Breakfast. Discussion over a hot breakfast ($10 members, $30 non-members) on Thursday, September 20th (8-10am) took place at the American Academy of Physical Medicine and Rehabilitation in Rosemont, IL. Target audience was “anyone interested in discussing future changes to ACCME’s Accreditation Process and how they are preparing for the New Criteria for Commendation” and topic was “How are you preparing for the new accreditation process and criteria for commendation? This was a natural segue from our August ACCME Update webinar. Watch your email inbox, IACME Facebook and Linkedin pages, and this website for future networking events which will include a December Think Tank and a Meet –Up at the Alliance for CME conference in January 2019. Note, the breakfast gatherings are space limited, so be sure to register in advance! IACME’s popular BASICS Workshop was held on September 14th - separately from the state conference this year. 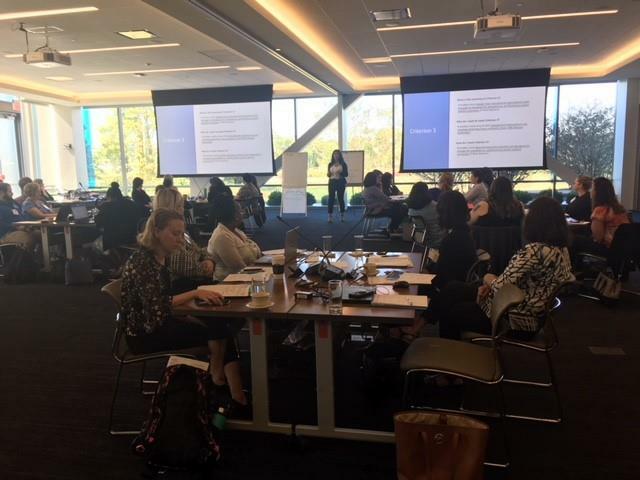 Well-attended, with seven faculty led by our Immediate Past President Debbie Platek, there were approximately 40 registrants from across Chicagoland and included three from out of state. Attendees included colleagues from hospitals, medical specialty societies, medical education companies and more. 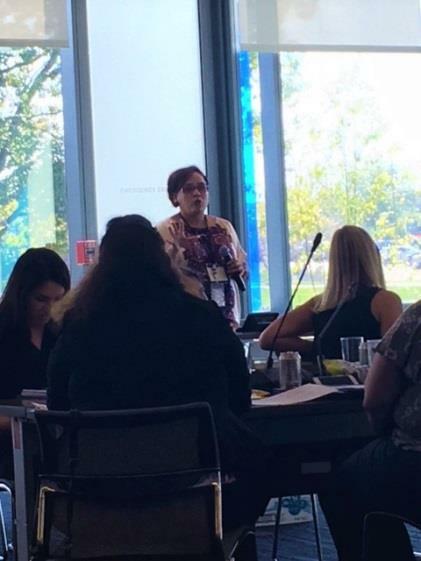 Photo 1 shows IACME Executive Secretary Nikki Berry presenting in her “day job” role outlining the American Academy of Pediatrics CME accreditation processes, which several evaluations cited as a highlight of the conference. Photo 2 is of session led by IACME President-Elect Patti Stella. Evaluations were excellent (e.g., “Best description/layout of the accreditation criteria that I've ever encountered. It's tough to understand the vagueness of them and this put them into context”) and equally-valuable were the well-thought-out suggestions for next time! If you would like more information or to serve on the faculty next time, please contact ilalliance@aol.com!